Those who are part of our academy or follow us on social media should already be aware that Esteban “Steve” Alvarez, a member of our BJJ program, recently earned his yoga certification. He began teaching the practice at our school last month, and I can say firsthand that his classes are excellent. They are free for our members, discounted for parents and spouses of our members, and reasonably-priced for those who don’t fit into any of the previous categories. To promote our appropriately-named “Yoga with Steve” classes, I sent Steve a number of interview questions and pasted his answers below. 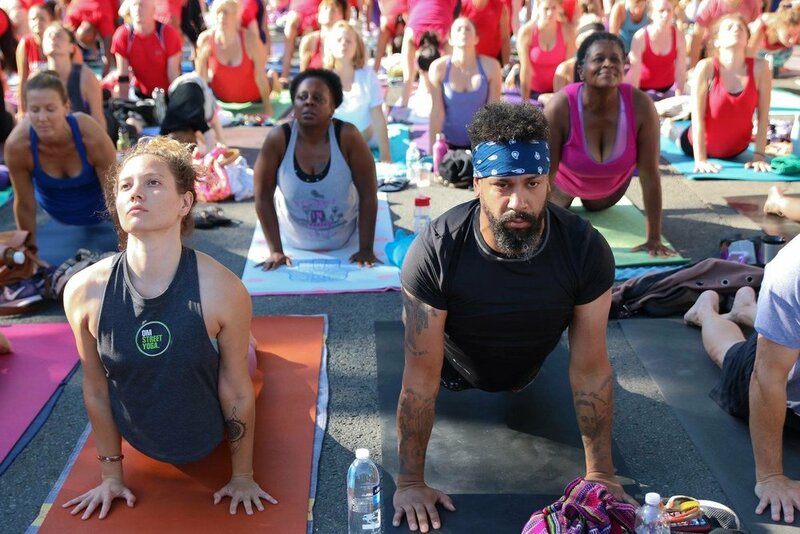 When and why did you first start practicing yoga? I started practicing Yoga on my own by watching YouTube videos and attending lunch sessions at local gyms late summer of 2017. I normally suffer from chronic pain in different areas of my body and it was starting to affect both my training regiment in Jiu-Jitsu and my everyday life. Also, after a minor lower back injury around the same time, I decided something had to change in my routine. So after doing some research, I discovered that Rickson Gracie was very involved with the practice of Yoga in order to both assist in muscle/injury recovery and to improve his Jiu-Jitsu “game”. What contributed to your decision to teach yoga? After about a month of practicing Yoga, I started to notice a significant positive difference in both my body’s mobility and my body’s ability to recover from the rigors of Jiu-Jitsu training. Breath control has helped me during live rolling/sparring with both being able to think more clearly and not to expend energy. I also began to notice an even bigger difference in both my emotional and spiritual attitudes. I became a more positive person overall. I’ve always had a love for teaching and instructing, so I decided that this experience should be shared with as many people as I know. 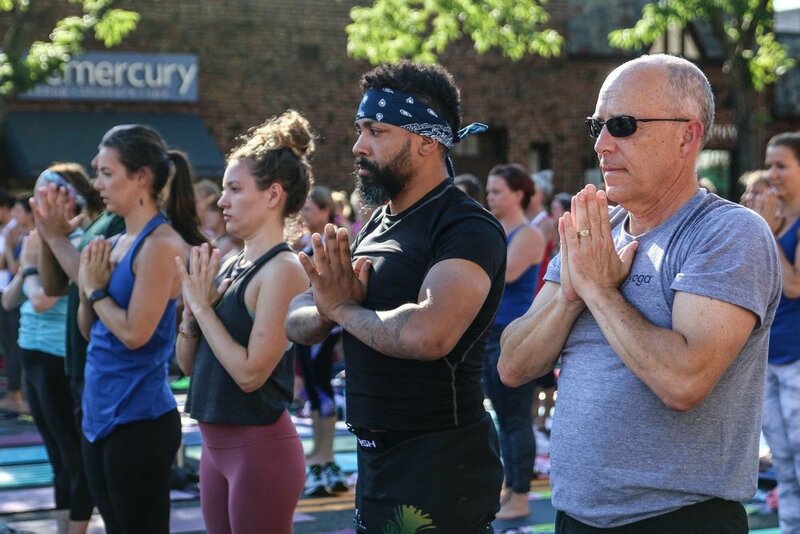 When I decided to enroll into West Hartford Yoga Teacher Training (WHYTT), I wasn’t expecting what I actually went through! It consisted of 6 weekends, expanding over a six-month period. Each weekend day consisted of 7-10 hours dedicated to personal practice, study, research, personal experience, and history of the art of Yoga (200 hours total). There are also a number of required readings and workshops for the course which took my stance on Yoga to an entirely new level. It was an incredibly profound and enlightening experience to which I feel I own a HUGE debt of gratitude to the trainers and trainees at WHYTT. The training was intense (physically, emotionally, and spiritually) to say the least. To anyone who thinks Yoga is just a bunch of stretches and odd positions to be in (like my former mindset)…..you’re sorely mistaken! What style of yoga do you teach at the academy? What about outside the academy? I teach a gentle/recovery style Yoga. It focuses on deep breathing and deep stretching. I also do get into a Vinyasa flow from time to time to get the flow and heat into the joints. Currently I don’t teach anywhere outside the academy. What type of person can benefit from practicing yoga? ANYONE! Yoga is a practice that’s designed for anyone and everyone of all ages, body types, physical limitations, and abilities. The practice is focused more on personal experience. The goal isn’t to force yourself into a pose or position, but rather to challenge both body and mind to work in conjunction with breath control to achieve a point of relaxation while being present in your own practice. What benefits does yoga have for the BJJ practitioner, in particular? Like I said previously, Yoga is about personal experience, so someone else may take away an entirely different set of benefits than my own. That’s what one of the reasons why it’s truly special.